Courier insurance is a must for people and businesses that transport goods and deliver them to customers, no matter how expensive or inexpensive the items may be. Car or van insurance policies will only cover damage to the vehicle and third party damage. An additional courier insurance policy is needed to ensure the goods being carried are covered, whether they be financial documents or mobile phones. Courier insurance cover for the goods being carried not only protects the driver or company for damage caused by accidents, but also for damage caused by poor driving and improper packaging. SIS offer competitively-priced insurance policies for the self-employed and for businesses large and small. We also specialise in providing courier insurance for convicted drivers and those with bankruptcy/IVAs. It can be confusing when some insurers band hauliers and couriers into the same business category, but we define hauliers as a one journey destination business, whereas couriers drop and collect along a round trip. 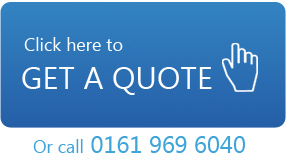 Contact SIS today on 0161 969 6040.